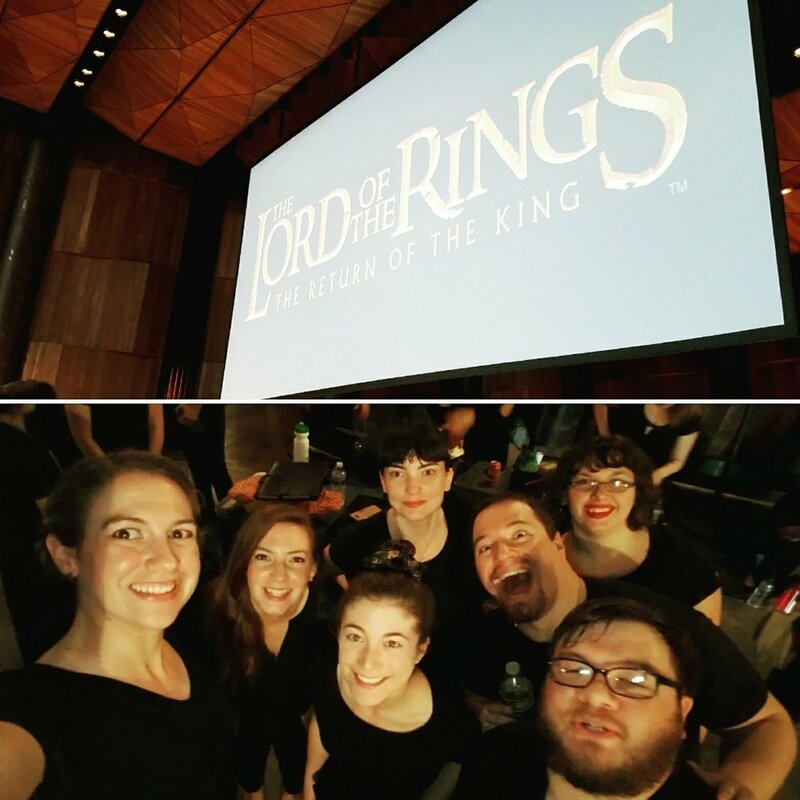 Last night, I had the pleasure and honor of singing with the Mendelssohn Club of Philadelphia, The Philadelphia Boy Choir, and the Philadelphia Orchestra for a performance of Lord of the Rings: The Return of the King Live. This was the third movie, and the third year I have participated in this incredible experience. So to mark the occasion, I wanted to record some thoughts. Although I don't sing with the choir year round, I am very lucky to be able to participate as a member for these concerts. And considering that the music is for a trilogy of movies (and books) I love, it is even better. I've seen the movies too many times to count, and the music has always been one of the soundtracks that burrowed into head and heart. My main point for writing this post is to remind myself that there is value in "fellowship" of the artistic sort, always. Joining with other humans to pull off something of the magnitude that we have done on three random nights over three summers... it's worthwhile. Always. That's not just because the audience screams like we are literal rockstars (something which -- spoilers! -- isn't too common for choir singers), it's the shared emotion, the feeling of being on a journey that makes it matter. 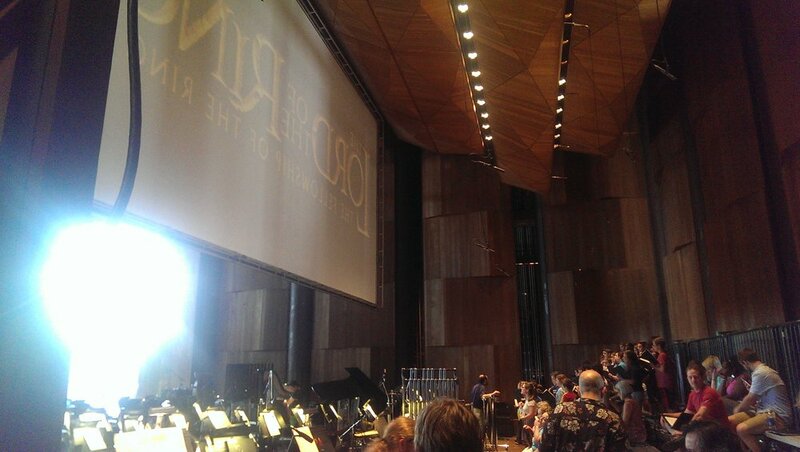 The exchange of LOTR trivia backstage, the ability to hone a page of music through repetition and the infusion of emotion via crescendo, the way we can sit and watch the movie and all scream "THIS IS MY FAVORITE PART" at at least 10 different moments... yeah. It's pretty darn special. And now it's over. I don't know if we will do another movie series next summer. I don't know what comes next! But, I am still so proud of the work we all did over the last 3 years to make this happen. We brought a stunning musical experience to people and engaged with a story in such an intimate and powerful way. We took the ring to Mordor, and we made it back to the Shire.